The governor of the US state best known as the home to a majority of the country’s incorporated businesses has officially signed a bill making it explicitly legal for those entities to use blockchain for stock trading and record-keeping. After weeks of anticipation, Delaware governor John C. Carney Jr. signed the bill on Friday, effectively bringing closure to an effort that began in May 2016 when his predecessor, Jack Markell, launched an initiative to promote blockchain efficiencies in government. 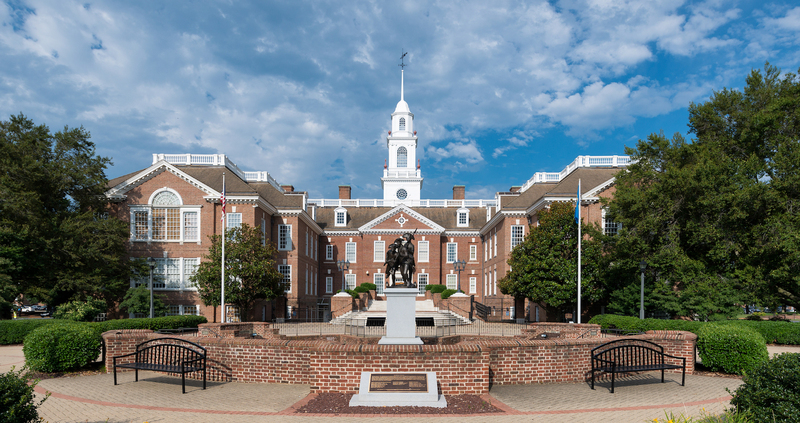 First publicized in March this year and introduced formally in May, the bill, which amends Delaware’s General Corporation Law, saw a swift passage by state lawmakers. The move further comes weeks after it passed a key vote in the state legislature, a milestone advocates sought to label as “historic” given the state’s history and the increase in experimentation that could result from legal certainty. Just how impactful could the law be? Industry analysts suggest that by giving the greenlight to experimentation, the law could make it possible for the custodianship, issuance, redemption and trading to take place on a distributed ledger. For more on the potential impact, read our full analysis.